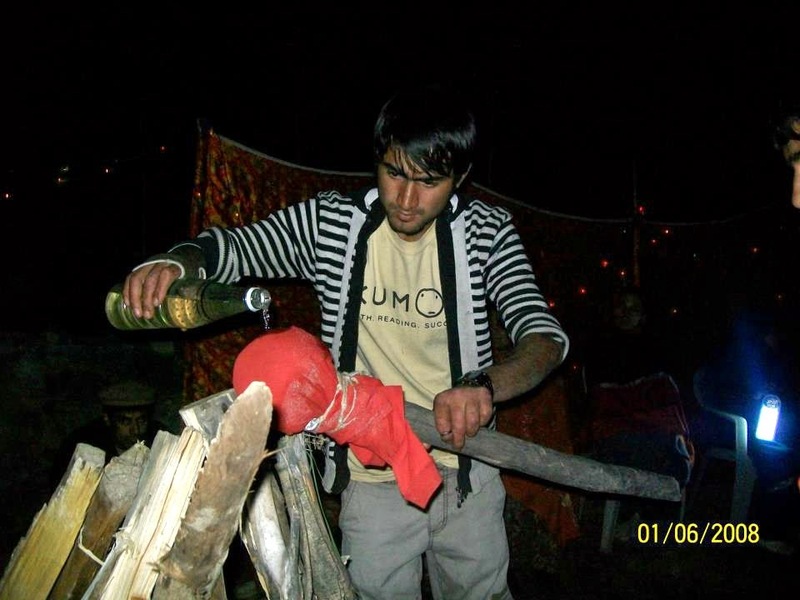 The death celebration of the cannibal king, Shari Badat, generally known as Noce/Nasalo by Tshina speakers of Gilgit and Lower Hunza whereas Brusho of Hunza calls it Tamashaling/Thumasaling, is one of most important festival celebrated in Gilgit Baltistan. 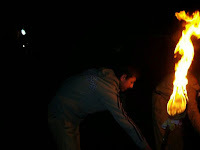 The celebration starts in early morning of 21st December when every household heads towards a specific place general a barren field holding Flambeaus of alpine firewood, every household brings burning sticks in their hands which later is given a bonfire shape by combining all the flambeaus remembering the day when Shari Badat was burnt by the brave villagers. 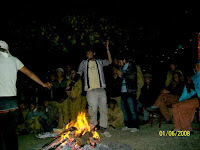 At the arrival of every villager, starts the melodious and unique music by local musicians and joyful dancing of the inhabitants around the fire that fascinates everyone. 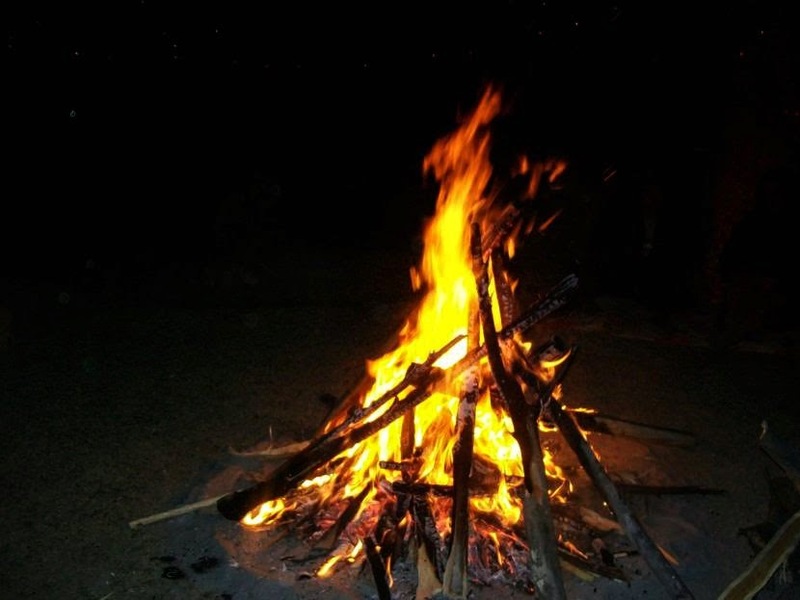 They forget about the chilly and freezing night of winters and enjoy it without thinking about hard worldly affairs. Elders play acts wearing Special kind of cloths and transform their identity to a character generally known as “Jateer” by Shina speakers. 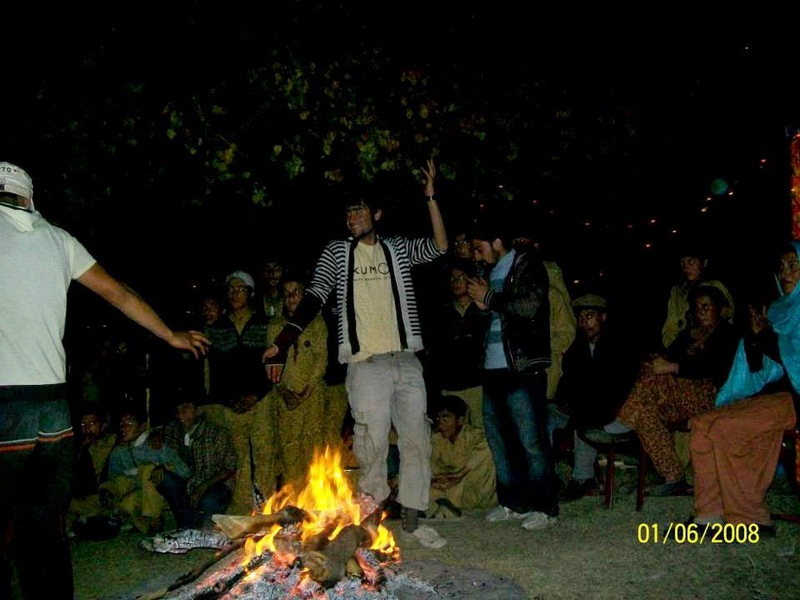 Those Covered faces illustrate the celebration of Halloween in Eastern Style and seems like a hide and seek game because the audience try to identify the hidden faces under those covered outfits. 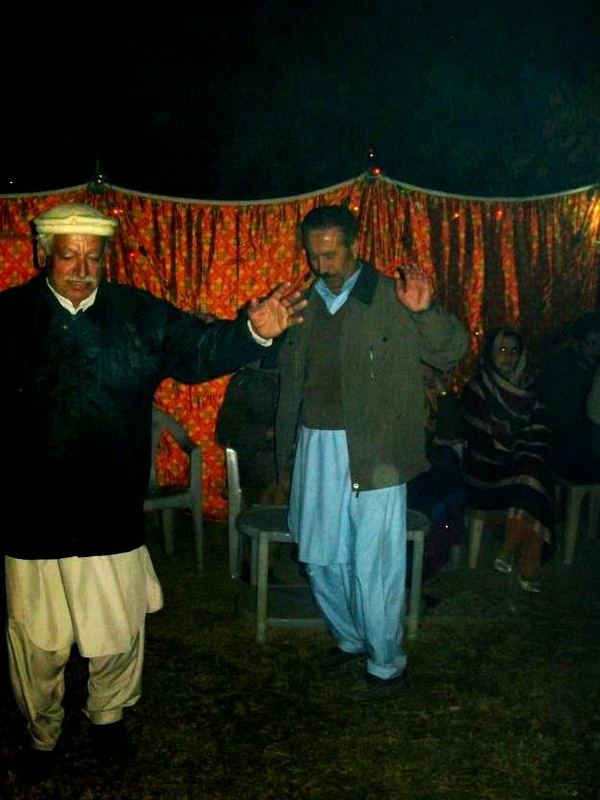 The dance, singing and that melodious music ends At Dawn and they return home to celebrate another ritual. Following the early morning gathering, comes the sacrifice of an animal in the memory of the death of cruel king. It is believed that if the people stop sacrificing an animal he will return someday with his evil thought of killing infants to feed himself again. Each family sacrifices an animal (a halal one) on that day every year. You must be wondering what happens next or the celebration ends here? Well...No, it doesn’t end here. The next formal procedure is the consumption of sacrificed animal which is inimitable and exciting. Firstly they cook liver of the sacrificed animal which is fried and served to the family. For lunch, they prepare a curry with some of intestines, rumen, heart and kidneys and served it with bread made at home with wheat flour. At night they make” Gittey( a sausage like dish), shopan, and joqeṣ̌ ( these are like haggis , a Scottish dish ) with remaining intestines and stomach and secum and preserve to consume later on another festival that comes after 11 days of Noce. The remaining meat is preserved for upcoming festivals i.e. baw-no, be-phaw, maroch-tic and Ganoni. It’s very sad to say today with passing time all the rituals are hardly followed by the people, they all does sacrifice but the get together diapering from the celebration and hardly a few people celebrate it with all the formal procedures.